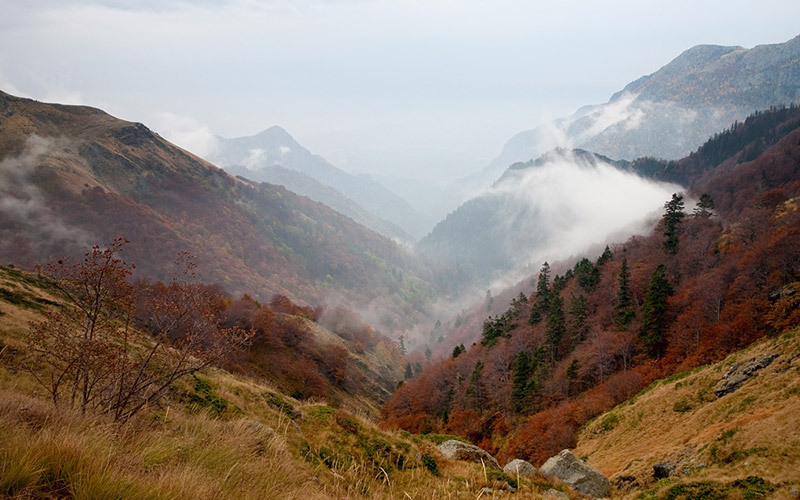 Bulgaria has long been known across the Balkans for its beautiful nature. The region around Plovdiv is incredibly rich in natural resources. There are countless nature sights to visit! Protected natural reserves, amazing Eco trails, waterfalls, lakes, caves and unique natural rock formations are just a small part of what you can see. So let’s get out of town! We’ve gathered 10 amazing day trips from Plovdiv to take if you enjoy being in the wild. Everyone can use a day out of the big city every now and then, right? Located just 35 km away from Plovdiv, UNESCO Red Wall Reserve is the largest biosphere reserve in the heart of the Rhodope mountains. It’s situated above Bachkovo Monastery – a beautiful medieval monastery from the 11th century. Majestic mountain views, centuries-old beech tree forests, waterfalls, perfect picnic spots – you will simply love The Red Wall. There are several eco trails, which are well marked and guide you through the Reserve. With a total area of 30 290 decares, you can witness a great diversity of flora and fauna. Some parts of the reserve are easily accessible, others are more challenging. You can get there by car, as well as by bus (Plovdiv – Smolyan route which stops in Bachkovo). 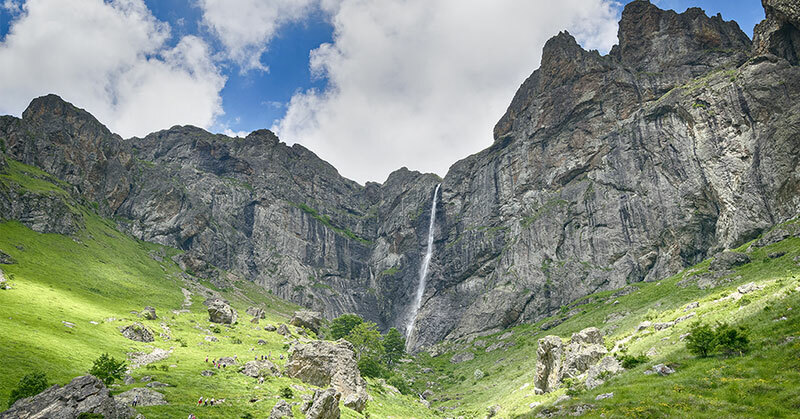 Slivodolsko Padalo Waterfall is the highest waterfall in the Rhodope mountains – standing at the impressive 50 meters! There is a marked trail which will take you to the Slivodolskoto Padalo with some very unique views along the way. 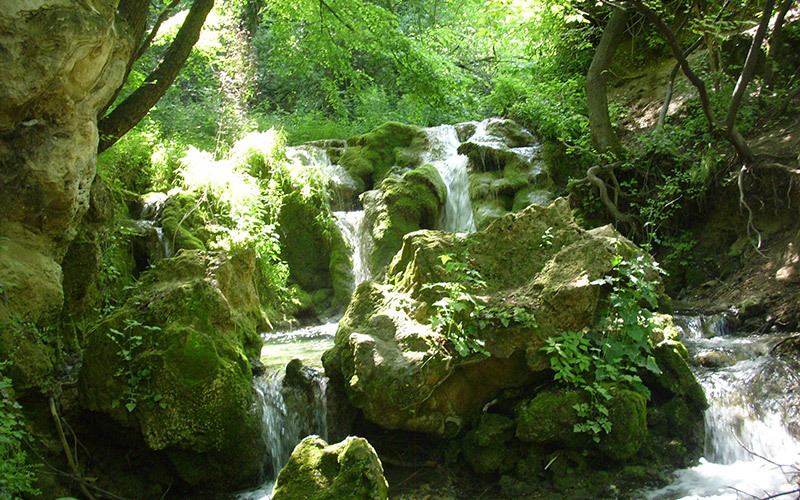 You will see many small springs and waterfalls as you make your way through the charming forest. It takes about 1 hour of walking to reach the waterfall. There are a couple of small huts and a barbeque where you can relax and enjoy nature. 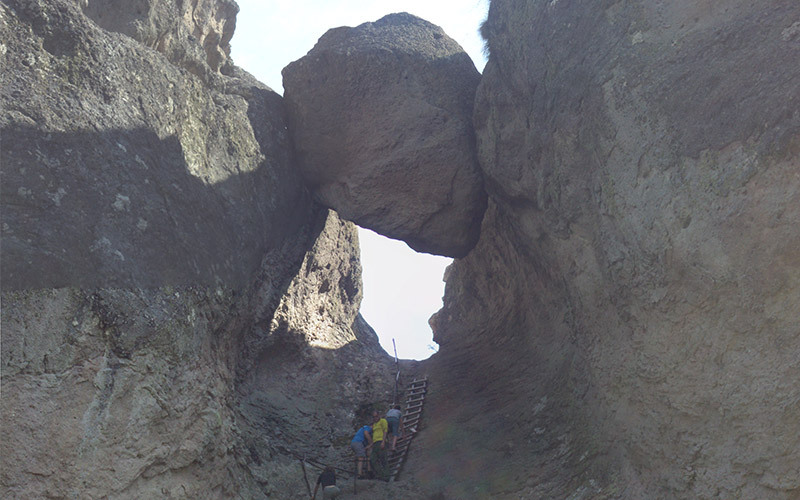 A remarkable natural rock phenomenon located in the beautiful surroundings of the Rhodope mountains! Climbing up the stone stairway, it will lead you to the upper part of the massif, where the panoramic view of the region will no doubt make you forget all about the big city! The Thracians built a sanctuary at the site (7th – 6th century BC) and you can still see some of the carvings in the stone. 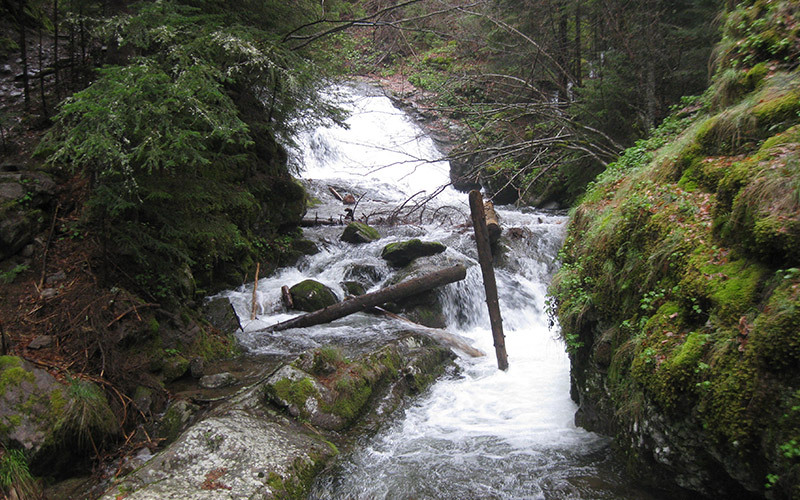 It’s located near Mostovo village, which is easily reachable by car. This is the largest reserve in the Central Balkan National Park. Inside the reserve, you can find a wide variety of animals, birds and many plant species. High inaccessible rocks, steep gullies, dark forests and unpredictable weather result in a dangerous, but breathtakingly beautiful area. The tourist routes going to the reserve are well marked and usually, there are many hikers along the way. The climbing route to Botev Peak (2376 m) – the highest peak in Stara Planina, also passes through Dzhendema Reserve. You get to the entrance of Dzhendema Reserve by reaching the city of Kalofer. From there you can find road marks, guiding you to the Reserve. We strongly suggest that you visit it with a person who is familiar with the area. 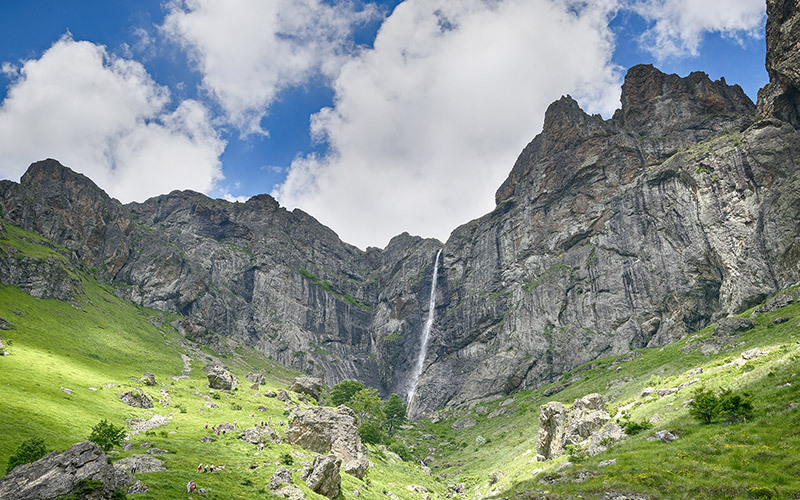 Raysko Praskalo (124 m) is the highest waterfall in Bulgaria, as well as on the Balkan Peninsula. 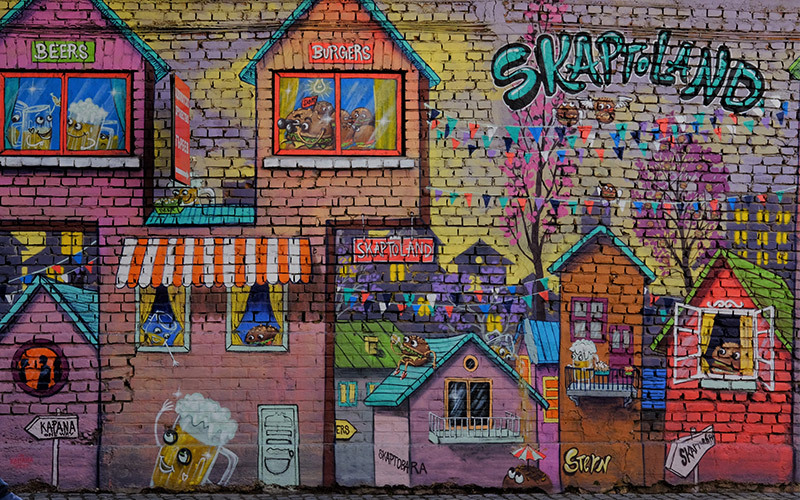 It’s magnificent – no wonder it’s called “Raysko”, meaning “Heavenly” in Bulgarian. It attracts many tourists, especially during spring, when it’s most abundant in water. It’s located under Botev Peak (2,376 m). 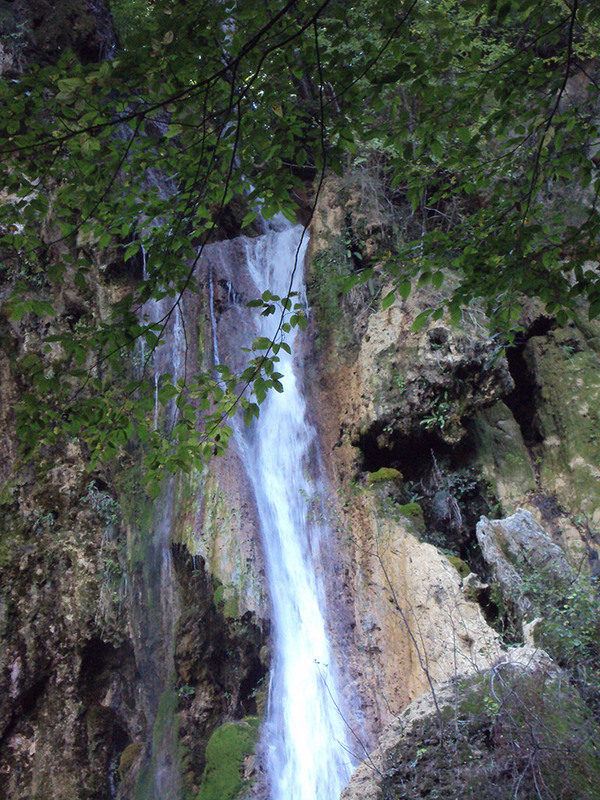 The waterfall can be reached from the starting point of Panitzite near Kalofer and the total time needed to get to the site is around 4 hours. There are well-marked eco paths nearby and a hut named “Ray”. White River Eco Trail is the perfect place to visit if you’re looking to experience the beauty of Dzhendema Reserve in a more calming way, without long walking distances. It’s located 8 km northwest of Kalofer and you can get there easily by car. Going through the beautiful White River Canyon, the eco trail crosses numerous waterfalls and magnificent forest views that are hard to forget. There are many pavilions where you can stop to rest, or have a picnic while enjoying the nature. The trail takes around 2 hours with a total distance of 2 km. 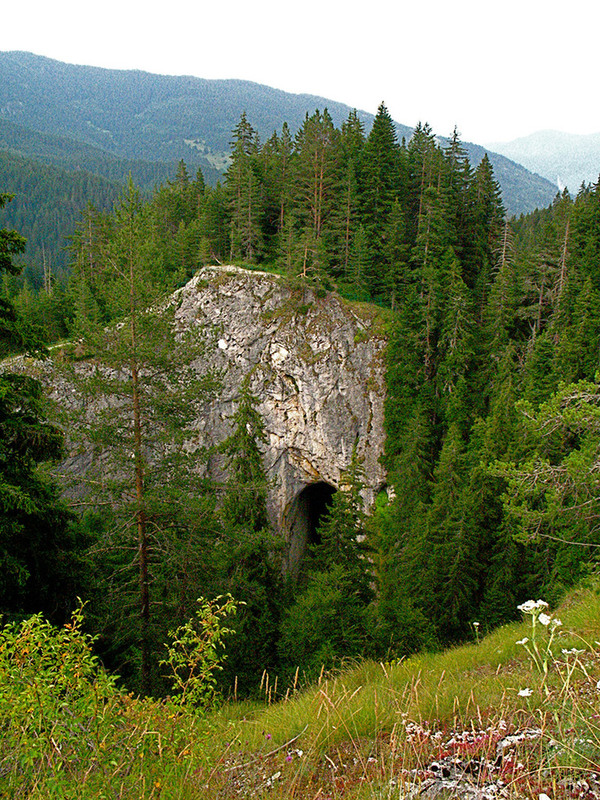 A must-visit eco path (well maintained and safe) near one of Smolyan’s neighbourhoods – Sredoka. What’s special about it is that it goes through 46 waterfalls, big and small, the highest one being 68 meters. You will walk on wooden bridges, zigzagging between the river, so make sure you have comfortable shoes on! The trail is 6.5 km long and depending on your pace, you’d need about 4 hours to go to “Orpheus” – the highest waterfall. From there you take another marked path, which takes you back to the starting point. 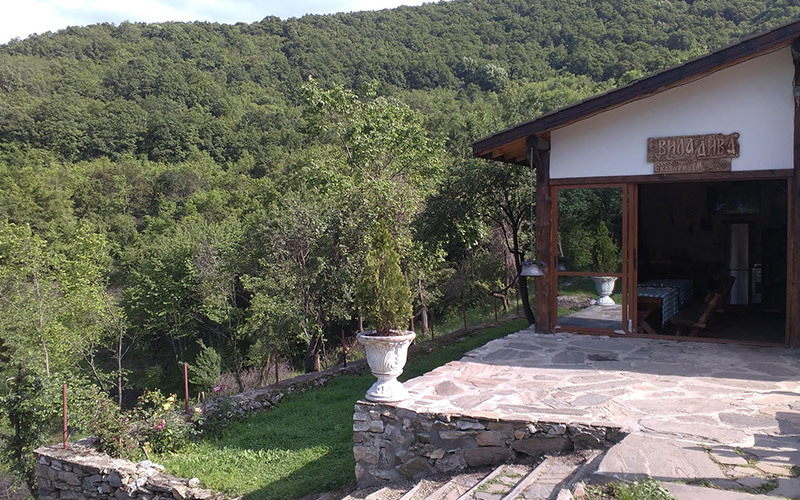 You can enjoy secured panoramic viewpoints with benches, where you can relax while admiring the beauty of the Rhodope Mountains. The views are more than magnificent! The Marvelous Bridges are a really unique nature sight in the Western Rhodope Mountains, situated at 1450 meters above sea level. In this terrain of limestone, a unique landscape shaped as arches has been created by the process of aggressive erosion. 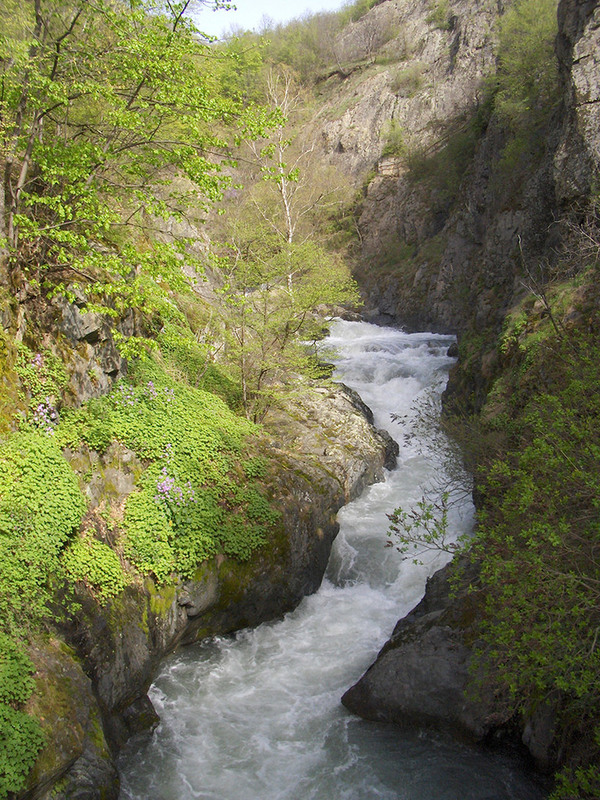 The marble arches are connecting the shores of Dalbok Dol (Deep Gorge) River. Thousands of years ago there was a cave in the bed of the river which collapsed after an earthquake. The river washed away the stone debris during the centuries and the beautiful bridges appeared. The amazing rock formations attract many visitors every year. 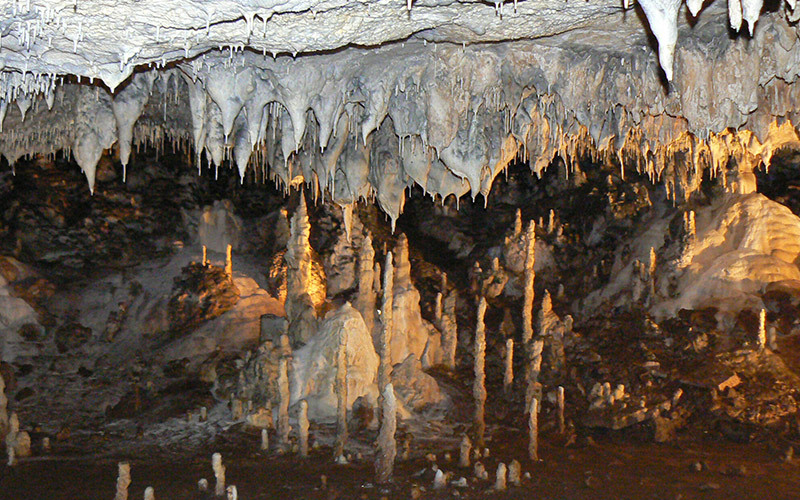 Cave Snejanka is one of the must-visit caves in the country. It’s part of the 100 Tourist Sites of Bulgaria. Located 5 km from Peshtera town, the cave will amaze you with its stalactites, stalagmites, flowstones and underground lakes. The cave’s name comes from a natural sculptured figure of snow-white crystal sinter in the Magic Hall, which looks like Snow White. A visit to the cave would be really interesting to children, who may recognize other figures from fairytales. Scientists believe the cave was inhabited around the 6th century BC by the Thracians, due to the round fireplaces, everyday objects and bones of dead animals, which were found in the middle of the cave. Vacha river runs through the beautiful Rhodope Mountains, forming a deep valley where two dams – the Krichim and Vacha, are located. 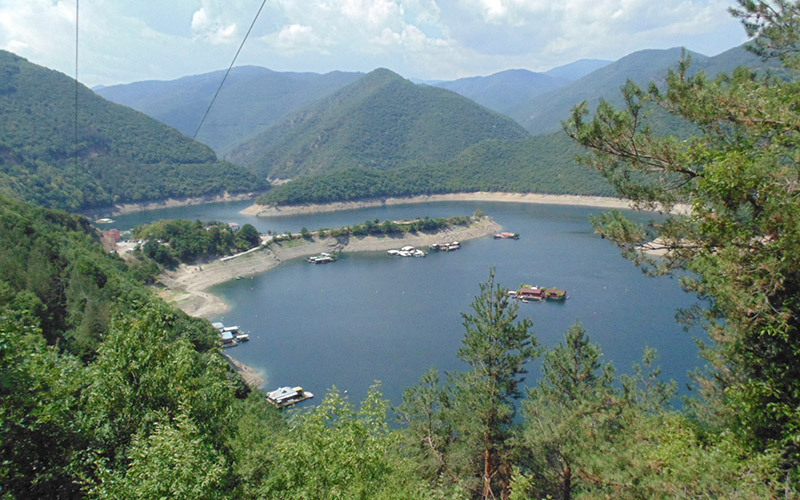 The reservoir is located 47 km from Plovdiv and provides part of the drinking water for the city. There is a wide variety of fish there so it’s a very popular destination for fishing. And it gets even better! There is a villa on a tiny peninsula inside the lake – Villa Diva, which offers accommodation. Yep, that’s right! You get there by boat. To make the experience even more exciting, in diameter of 20 km there are no cities or villages. It’s quiet, calming and overall – the perfect nature location to unwind. 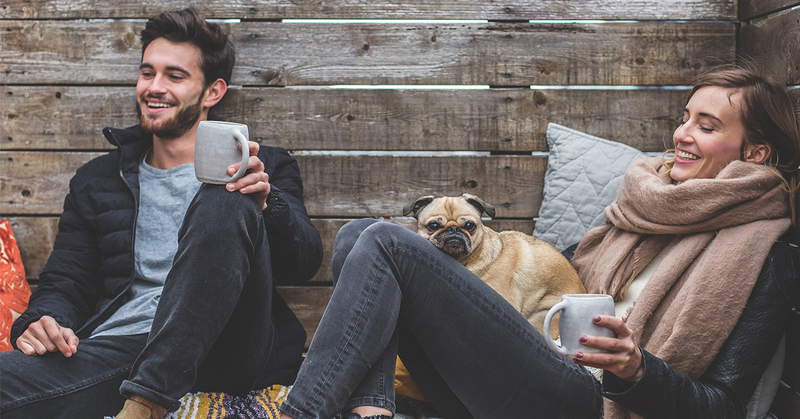 With so many amazing nature spots, you’re no doubt planning your next trip by now. 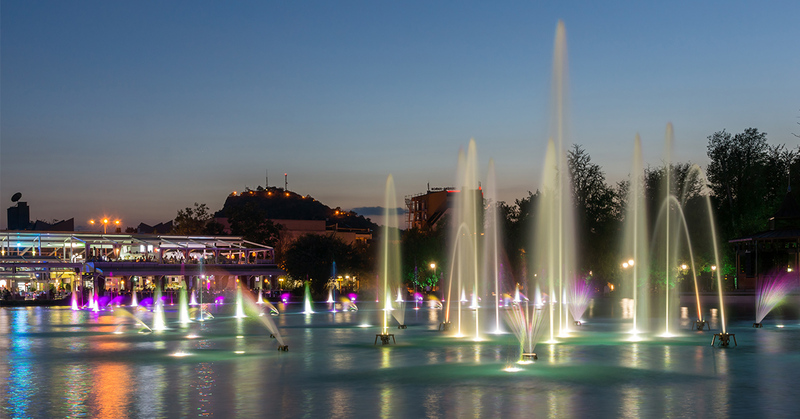 Take the stress off from the busy everyday life with an amazing day exploring the nature around Plovdiv!